A list page contains a list of items that you might want to display - pretty obvious, right? Build-a-Site list pages contain individual list items that you add or edit separately allowing you complete control over all of the list items in the list. So, what would you use a list page for? So many things that I couldn't list them all - products, venues, upcoming events, rooms for an accomodation provider, services that you provide and so on. Each list item can be a basic text list item, can contain a photo or can link to a page with a longer description - the list below contains some bespoke web applications that I've written, but it could be a list of almost anything. By the way, the right panel on this page includes news items - it could include a list of testimonials, images, text or a contact form. 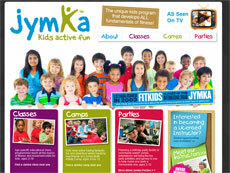 Jymka Kids Fitness Classes Booking System. This list item has an extended page for more information on this project. Instructor Classes Booking System for Jymka. This list item has no extended page but has an image. Boat Booking Agency System for Irish Holidays. 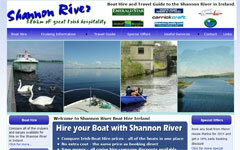 Full booking system and travel guide to the Irish waterways. Frayne Weddings Videographers allow newly weds to preview their wedding videos within a few days of their wedding. A login system allows access to videos and stills for friends and family. A system to allow logged-in users to enter butterfly sightings. The system highlights the first sighting of every year and sightings can be filtered. This list type is the most basic with no image, no extended page and no link.